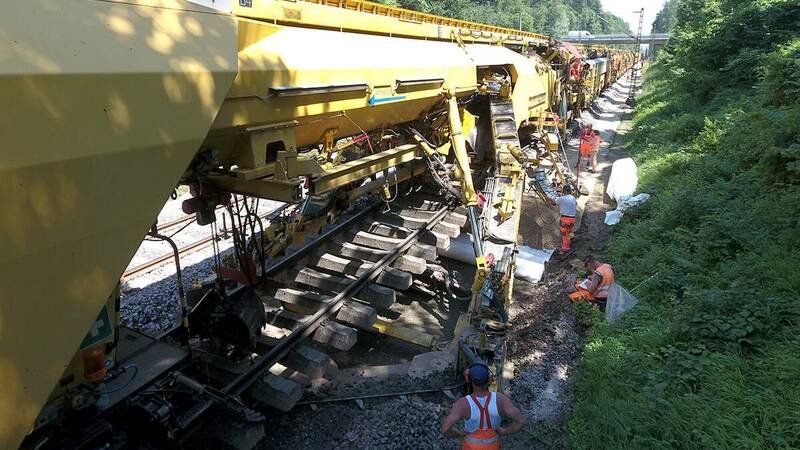 For the Wiebe Group the journey is the reward– literally when realising high-quality track construction work. We work with strong partners and high-performance machines in various projects in many countries across the world. Competent with a great track record – true to this motto, we endeavour to guarantee track construction quality of the very highest order. 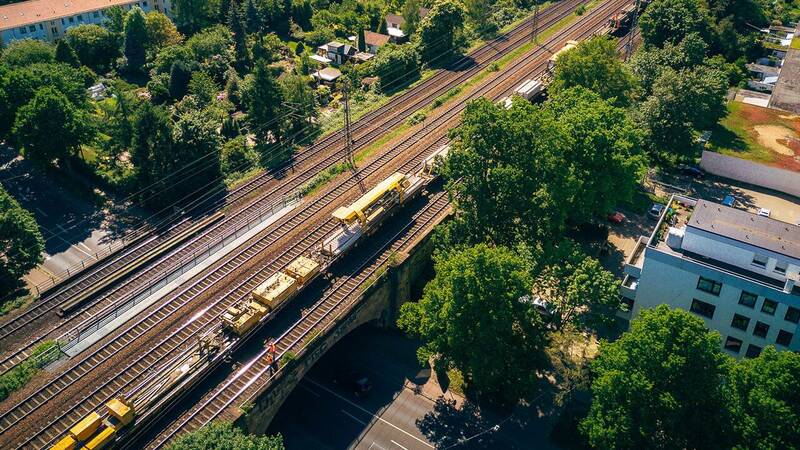 Whether nation-wide across the network of Deutsche Bahn AG, in local public transport networks, or in the sector of industrial and non-federally-owned railways our day-to-day work and our goal is the provision of a complete range of construction services carried out to a high level of quality. These services include new construction, renewal and maintenance works for rail track, platforms and points, through to the construction of complete rail transport facilities. The entire process and responsibility lie in the hands of a specialist – from the very first planning meeting through to final acceptance. This guarantees that each project can profit from the vast know-how of our experts which includes expertise in superstructures and substructures on railway systems and also in-depth knowledge of railway regulations. A solid foundation is essential to ensure the stable position of the upper structure. We restore the subgrade below the track to ensure a high level of quality very quickly using a tried-and-tested concept that saves costs. Also, this method has very little impact on the track panel and does not pose a risk for rail operations on adjacent tracks. We use modern machines and vehicles to prevent wheels or chains crossing the formation level and also to allow the installation of geotextiles and similar materials. With a combination of speed and care, we set new standards in track construction. We use state-of-the-art crane equipment to enable us to lift and move bridges, track yokes or parts of switches up to lengths of 40 metres and weights of 120 tonnes. 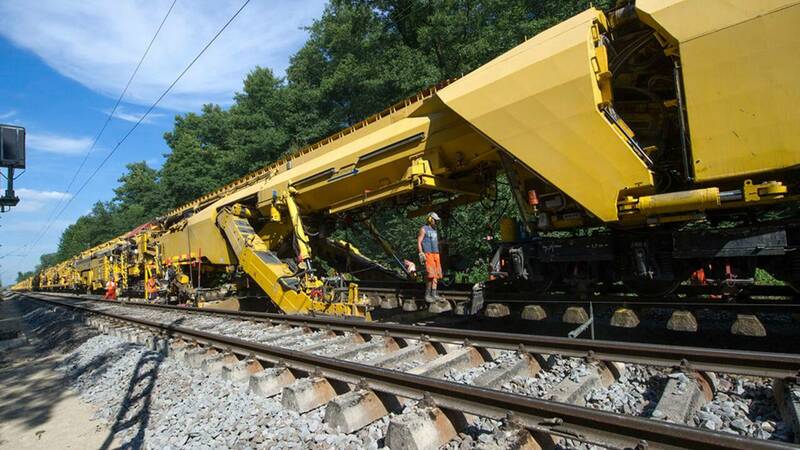 With the aid of special construction trains, we are also able to complete track extension, restoration and removal work of up to 350 metres an hour. This ensures that regular operations can be reassumed as quickly as possible. Today’s trains are operated more and more quickly and are driven in ever shorter cycles – this goes hand-in-hand with stricter requirements with respect to the positional stability of the tracks. Thanks to our team of competent experts we are able to meet these challenges in every respect: Our innovative and extensive machine pool contains all the equipment we need to cope with the any individual circumstances on site – today and also in the future. We always use optimum equipment in every construction project. 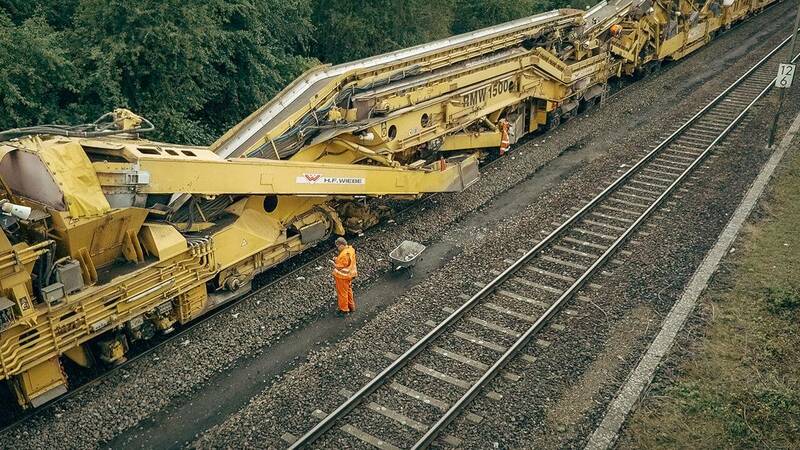 Three building site in four days – this was how the construction work on the switches and track sections was carried out in the Bremen district. Eleven kilometres of track was renewed between the two towns. Smooth operation and functional processes are fundamental for modern mobility and economic processes. A high level of quality and permanent consistency are therefore absolute minimum requirements for all our activities in track and structural engineering projects. We never lose sight of the individual nature of these kinds of projects, because this is the only way we can completely satisfy our customer wishes. Extensive construction and renewal work was carried out between Buchloe and the main station in Lindau.